J.D. Power and Associates released its 2012 U.S. Full-Service Wireless Purchase Experience Study, Volume 2 on Thursday, which revealed that Sprint scored the highest in overall purchase experience. Sprint's score fell in at 775/1,000 and was followed by the full-service average (764), Verizon Wireless (763), AT&T (761) and T-Mobile (752). The scores are based on six factors, including the carrier's website, phone sales representative experience, store sales representative experience, the store facility, cost of service and the carrier's offerings and promotions. J.D. Power and Associates said that the increased satisfaction among customers overall was attributed to sales efficiency in each wireless store. The company found that the highest satisfaction was among customers who completed their transactions inside a retail store. In fact, the wait from the time a customer enters a store to when he or she begins speaking to a representative decreased almost a full minute from last year, down to 7.5 minutes. The average transaction time, however, is still 54 minutes. That's down just a minute from six months ago. "Customers who make purchases in retail stores have the opportunity to touch handsets and accessories and see the pricing associated with each, something not possible over the phone or on the Web," J.D. Power and Associates senior director of wireless services Kirk Parsons explained. "In addition, carriers have invested heavily in the retail store environment in merchandising, store upgrades and staff training to make the overall sales experience more enjoyable and efficient." Wireless consumers are still going to wireless stores, as opposed to making purchases online. The survey said 64% of full-service customers went to a retail store, 18% used a phone and 18% made a purchase online. The survey included 8,047 wireless customers in the United States. 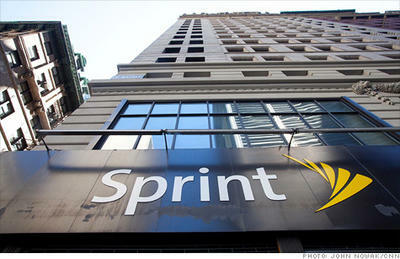 Sprint Nextel Ranks Highest in Wireless Purchase Experience Satisfaction among Full-Service Carriers, While Tracfone Ranks Highest among Non-Contract CarriersWESTLAKE VILLAGE, Calif: 9 August 2012 — Improvements in sales efficiency and exceeding customer expectations contribute to increased customer satisfaction among wireless customers who completed a sales transaction at a retail store, according to the J.D. Power and Associates 2012 U.S. Full-Service Wireless Purchase Experience StudySM–Volume 2 and the 2012 U.S. Wireless Non-Contract Purchase Experience StudySM–Volume 2, both released today. Now in their 9th year, the semiannual studies evaluate the wireless purchase experienceof customers using any one of three contact channels: phone calls with sales representatives; visits to a retail wireless store; and on the Web. Overall customer satisfaction with both full-service and non-contract branded carriers is based on six factors (in order of importance): store sales representative; website; phone sales representative; store facility; offerings and promotions; and cost of service. The study finds that overall satisfaction among full-service wireless customers who conducted a recent retail store transaction has increased significantly to 774 (on a 1,000-point scale), compared with 754 in 2011- Vol.2, the first year satisfaction among the different channels was tracked. In contrast, satisfaction in the other contact channels has remained stable during the same time frame. Full-service wireless customers who purchase a device in a retail store indicate experiencing greater satisfaction when speaking with the salesperson handling their transaction. In particular, satisfaction improves notably regarding the promptness in speaking with a sales representative and timeliness of completing the transaction. Among full-service wireless customers who purchased a service plan or device in a retail store, total transaction times have improved since 2011-Vol. 2, especially in the early stages of the sales process. For example, the total average time that customers wait between being greeted upon entering the store and speaking with a salesperson is 7.5 minutes–a decrease of nearly one full minute from 2011. "The study shows a direct correlation between an efficient sales transaction process and improving satisfaction with the overall retail experience," said Kirk Parsons, senior director of wireless services at J.D. Power and Associates. "Customers who make purchases in retail stores have the opportunity to touch handsets and accessories and see the pricing associated with each, something not possible over the phone or on the Web. In addition, carriers have invested heavily in the retail store environment in merchandising, store upgrades and staff training to make the overall sales experience more enjoyable and efficient." Parsons notes that improvements within the retail store are translating into loyalty, as 39 percent of full-service wireless customers say they "definitely will" revisit the same store, compared with 35 percent a year ago. Wireless Purchase Experience Study Results For a third consecutive time, Sprint Nextel ranks highest in overall customer purchase experience satisfaction among major full-service wireless carriers. Sprint Nextel achieves a score of 775 and performs particularly well in the offerings and promotions and cost of service factors. TracFone ranks highest in overall customer purchase experience satisfaction among non-contract service carriers. TracFone achieves a score of 763 and performs particularly well in the phone sales representative and website factors. Boost Mobile (758) and MetroPCS (758) follow in the rankings. While 64 percent of full-service customers indicate that their most recent purchase experience occurred in a retail store, 18 percent used the phone, and an additional 18 percent transacted online. This differs considerably from non-contract customers–25 percent say their most recent purchase transaction occurred online, and only 12 percent indicate that it was via phone. The average total time customers spent completing a sales transaction in a full-service retail store is approximately 54 minutes–a decrease of approximately one minute from six months ago. In comparison, customers making purchases from non-contract carriers indicate spending just 45 minutes in a retail store. Satisfaction with the overall purchase experience among other retailers, such as Apple, Best Buy, Costco, RadioShack and Wal-Mart, averages 760 index points–which is 18 points lower than among stores owned by full-service wireless carriers. The 2012 Wireless Full-Service Purchase Experience Study–Volume 2 is based on responses from 8,047 wireless customers. The 2012 Wireless Non-Contract Purchase Experience Study–Volume 2 is based on responses from 3,644 wireless customers. Both studies are among current subscribers who report having a sales transaction with their current carrier within the past six months. The study was fielded from January through June 2012.For more information on customer satisfaction with wireless service, wireless retail sales,cell phone handsets, customer care, prepaid wireless service and business wireless service, please visit JDPower.com.